As the Thanksgiving holiday approaches, there’s no better time to express our sincerest appreciation for your business. We value the trust you have placed in Wheelhouse Solutions to help you with your organization’s technology goals. 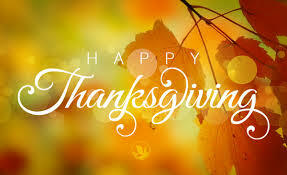 We will be closed Thursday, November 23rd, and Friday, November 24th to enjoy the holiday with our families. Thanksgiving is the reason for TV dinners! In 1953, Swanson had so much extra turkey (260 tons) that a salesman told them they should package it onto aluminum trays with other sides like sweet potatoes — and the first TV dinner was born! If your business is looking for Managed IT & Support Services, Wheelhouse Solutions has a staff of experienced professionals to deliver outstanding results. We provide cost-efficient managed IT Services, backed by a professional IT Staff, with experience in multiple disciplines. Whether you’re looking to augment your existing IT staff, or if your business wants to outsource all of your IT services, we have a flexible solution to meet your needs. Contact us today at 314-492-2506 for your technology and software needs!